Daniel Negreanu who is one of the most well known members of Team PokerStars Pro has been named by Global Poker Index (GPI) as “Poker Player of the Decade” for his live tournament play. 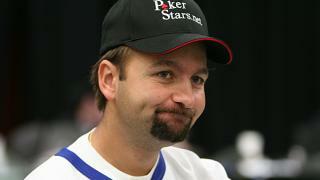 Negreanu was recently named as Player of the Year for 2013 by just about every major poker news outlet. During 2013 he simply dominated the competition and that is why he won Play of the Year awards from Bluff Magazine, Card Player, WSOP & the GPI. 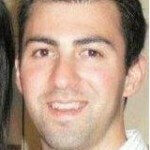 Daniel bursted onto the poker scene in 1998 at ripe old age of 23 when he won his first World Series of Poker (WSOP) bracelet. At that time he was the youngest player to ever take home a WSOP bracelet. Since his first live tournament cash he has amazed a live poker tournament haul of $19,549,209 which makes him the third on the all-time winnings list. Daniel released the following statement when he heard the news that he was named Poker Player of the Decade by GPI. I’m very honored by this award. I’ve worked hard on my game throughout the decade, so that I could find ways to consistently win year in, year out against tougher and tougher competition each year. I’ve never wanted to rest on my name alone and winning has always been important to me. The game has changed a lot over the past 10 years, but the key ingredient for success hasn’t: confidence. I enter the next decade more confident than ever before.